Veramaris produces the two essential omega-3 fatty acids EPA and DHA from natural marine algae for animal nutrition. Our sustainable technology could be a complete replacement for fish-based ingredients for a variety of species. By combining expertise in cultivating natural marine algae with know-how in industrial-scale fermentation, we have developed an innovation that transforms feed nutrition. In the North Pacific, we discovered an algal strain of Schizochytrium sp., which naturally produces the omega-3 fatty acids EPA and DHA. Fermentation secures a supply of these essential nutrients without relying on marine ecosystems. Our algal oil is a source of the omega-3 fatty acids EPA and DHA, with a concentration exceeding 50%. Our algal strain originates from the North Pacific and is not genetically modified. Our algal oil comes in liquid form and is as easy to handle as fish oil. Nutritionists agree the omega-3 fatty acids EPA and DHA are essential for human and animal health. EPA and DHA are long-chain polyunsaturated fatty acids that belong to the family of omega-3 fatty acids. Humans and most animals are not able to synthesize omega-3 in sufficient quantities. This is why they must include these essential nutrients in their diet to maintain healthy growth. Typically, wild salmon obtain their omega-3s via the natural food chain. Marine algae, one original source of EPA and DHA, are eaten by zooplankton. In turn, these are consumed by wild fish such as anchovies, sprat and blue whiting – fish that wild salmon naturally eat. Omega-3s must be added to feed for both farmed and domestic animals. Until recently, fish oil and fishmeal from wild fish stocks were the sole source of essential fatty acids. In 2016, a total of 16 million metric tons of wild-caught fish were used to produce fish oil and fishmeal. As natural resources, fishmeal and fish oil are unpredictable in supply. Our breakthrough innovation allows the animal nutrition industry to become independent of marine resources. 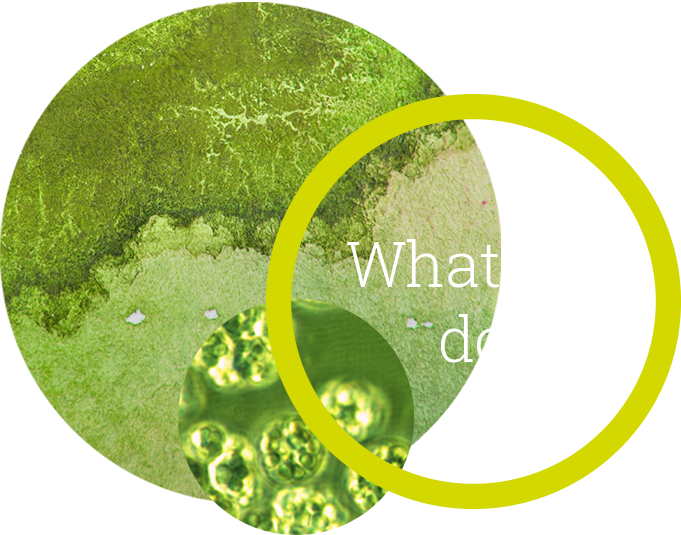 With the help of natural marine microalgae, we bypass the food chain. Our omega-3 from microalgae is an ideal high-quality alternative to fish-based ingredients for sustainable animal nutrition. Feeding Veramaris omega-3 oil directly to animals helps protect marine habitats and conserve the biodiversity of our oceans. 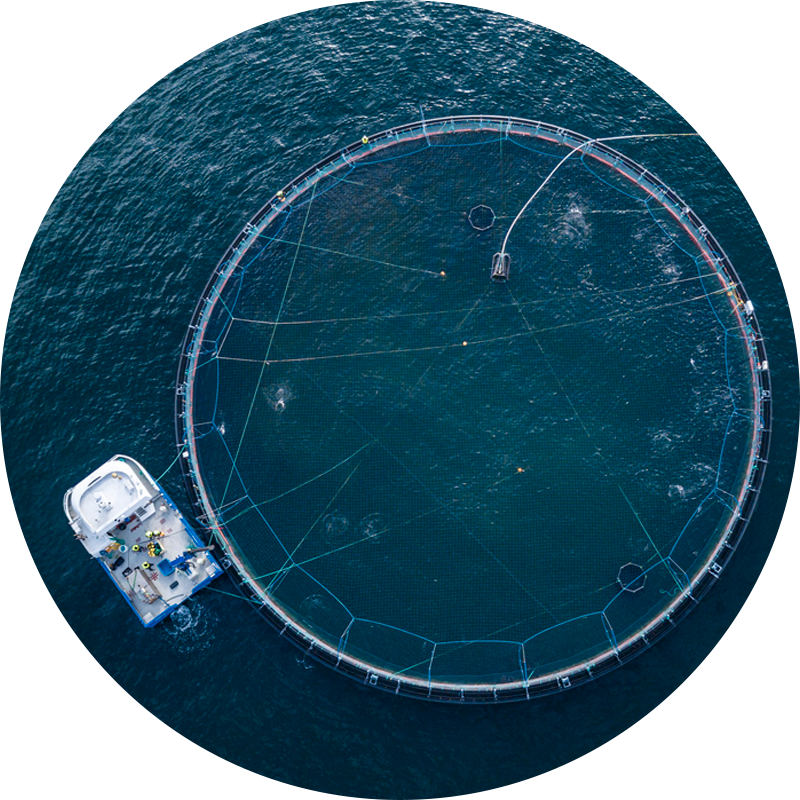 Our commitment supports industry players to adopt sustainable feed production as a worldwide standard and become leading stewards of the ocean. Our production is located in Blair, Nebraska – right in the middle of the corn belt in the United States of America. We only need two materials: sugar and marine algae. The sugar is dextrose obtained from locally sourced corn – a renewable resource. Our algal strain, Schizochytrium sp., is cultivated in our Nebraska plant to seed the fermentation process. During the fermentation process, the algae cells multiply exponentially and convert dextrose into omega-3 fatty acids, which accumulate in oil vesicles. In the downstream process, the cell wall is broken and the oil vesicles are separated from the aqueous phase. Residual water is removed from the oil by centrifugation and the end result is a highly concentrated algal oil and a liquid co-product. The liquid co-product can be used as a protein source in beef cattle feed. Alternatively, it can be converted into biogas for electricity production. This makes our process entirely waste-free. Our strain of Schizochytrium has the advantage of producing both EPA and DHA in high concentrations, making algal oil an exceptionally rich source of these two essential omega-3 fatty acids. The concentration exceeds 50%.